Well, Deflategate just exploded. 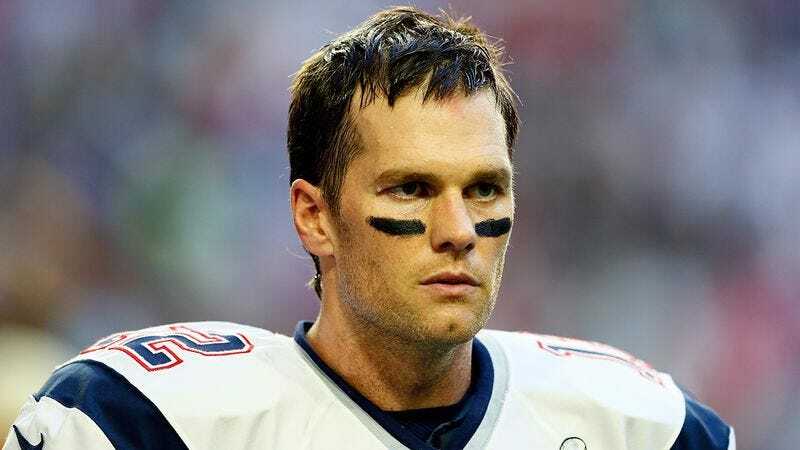 Yesterday, the NFL slammed New England Patriots QB Tom Brady with a four-game suspension for his role in illegally deflating footballs during last season’s playoffs. Whether or not you think the league went too far, it’s not the first time it has come down hard on rule-breakers. Here are some of the NFL’s harshest punishments ever. When Seattle Seahawks coach Mike Holmgren caught cornerback Shawn Springs using steroids in 2000, he sat him down at the kitchen table and had him do all the steroids one by one until there were none left. In 2006, star running back Ricky Williams was suspended for the season without pay when the NFL became aware that Williams was three weeks overdue returning The Recognitions by William Gaddis to the Miami Public Library. The New York Jets faced a record $5 million fine in 2009 after the league discovered they had been playing in the Giants’ stadium without permission. For his role in the sweeping bounty program between 2009 and 2012, New Orleans Saints defensive coordinator Gregg Williams was ordered to psychically infiltrate a serial killer’s mind to find out where a kidnapped woman was being held. For trying to throw a perfect spiral to Saddam Hussein, Brett Favre was suspended for an entire season and fined $3 million. When Baltimore Ravens defensive tackle Haloti Ngata was caught using performance-enhancing drugs late last year, the NFL’s disciplinary committee ruled that the look of disappointment in Roger Goodell’s eyes was punishment enough. New England Patriots head coach Bill Belichick is automatically fined $10,000 every day on the assumption that he’s up to something fishy.